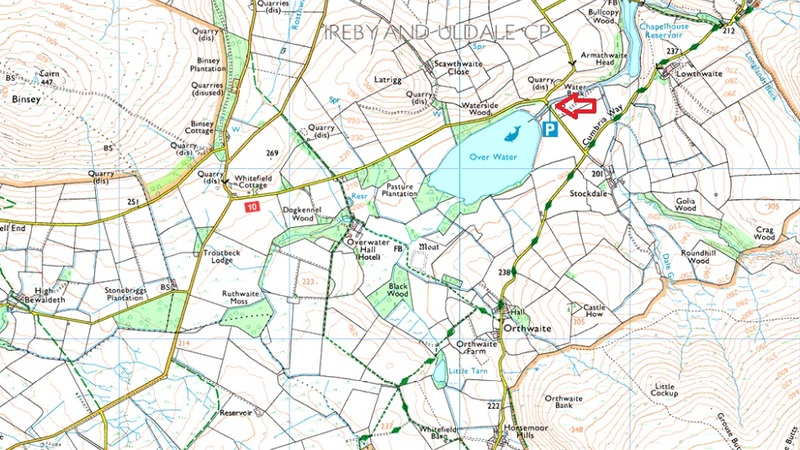 Notes: As you head out past Overwater Hall keeping Over Water to your right you will soon arrive at the junction with Water Bank, turn right here and you will find the parking spaces on the left hand side with room for around half a dozen well parked cars. The parking spaces provide access to both Over Water with Binsey also close by. If out for a day on the Uldale Fells these parking spaces provide an alterative to the more popular spaces just outside Longlands. Parking is free.